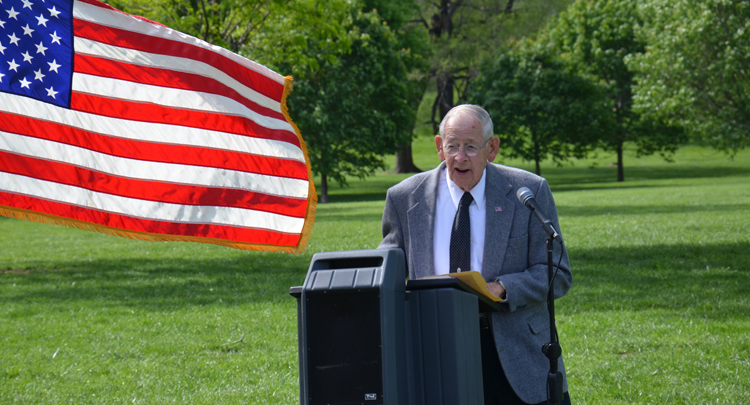 A Northern Red Oak will be planted in honor of George L. Eib (pictured), who fostered the creation of Arbor Day Celebration in Kansas City, MO. George was also the driving force for KCMO Parks and Recreation’s involvement in the Kansas City Flower, Lawn and Garden Show for many years. He passed away on Christmas Day 2018.